These traditions steer far from the typical “ Trick or Treat” tradition. Who did the ghost bring as his date?… His “Ghoul”friend! Okay we’ll stop with the jokes. They just keep getting worse. Moving on, Halloween is a celebration that moves around to several countries but they all do it a different and unique way. Originating from Ireland, the day of October 31 is seen by Christian faith as the beginning of the three days of remembering the dead.We shall be looking at some of the most unconventional ways that countries celebrate this day. Well, British kids have an apt for something more useful than candy. Yes, you guessed it, money. On the celebration day, these children use beetroots called “punkies” and carve designs on them, after which they go around houses singing the traditional Punkie night song asking for money instead of sweets. A pretty smooth way of increasing one’s allowance, I must say. Not only is a lot of the famous Swedish Fish candy distributed during Halloween, but Sweden has a weeklong of festivities! (Almost like Indian weddings, oh lord!) While families visit their departed loved ones at graveyards, kids immerse themselves in trick or treats. Celebrated from October 31st to November 6th, it acts as a national holiday amongst Swedes. Clubs and Universities have contests for costumes and students usually take part in them, although this turns towards more of the western way of celebrating ‘Alla Helgons Dag’. Everyone loved the recently released animation movie, “Coco” not only because of the cute storyline, but also because of the depth of Spain’s Halloween traditions. Mexicans celebrate the ‘Day of the Dead’ mostly from October 31st to November 2nd (which is also All Souls Day for Christians) which acts like a Latin-American Halloween. Families set up huge altars in their homes with the pictures of the departed and visit their graves. They also celebrate by attending parades and painting skeleton faces on their own. “Pangangaluluwa”, which is a Filipino word that the people use to talk about Halloween, is celebrated by going to people’s houses and stealing belongings from them which would be found on the roadside the next morning. However, this tradition is not being followed as much anymore, as the citizens of the Philippines are leaning towards the Western tradition of Halloween. Halloween in Russia is celebrated half and half. It is rising as popular amongst the youth of the country but is still despised by the Russian Orthodox Church. Russian parents hardly allow their children to ‘trick or treat’ as the authorities see it as a glorification of evil. Since the celebration has been only recently brought, Russians are still attempting to differ between traditional and non-traditional. Halloween is seen as a corporate celebration rather a traditional marking of the year. Despite having its roots in ‘Samhain’, which was a Gaelic festival that was thought to mark the end of summer and a period where the line between the dead and the living was thin enough for spirits to pass between the two worlds, Halloween has become much more of a commercial prospect than a day that was of some ancient importance. Hopefully you now have an idea of what you can get for Halloween if you happen to visit these places (Sigh, in our dreams). 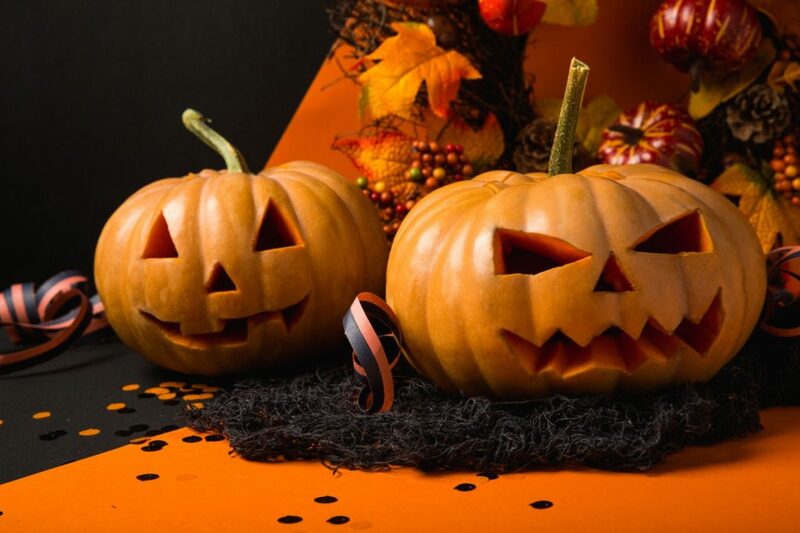 To conclude, there are many places around the world that celebrate the great day of Halloween. However, these happen to be on our list of “whacky but subtle”. Overall, Halloween is the one day where people get to dress up ridiculously and not get judged about it. Regardless of what it stands for, it is a nice day to enjoy yourself with your friends and party all night long!